Lillian Too has a gorgeous collection of scarves. 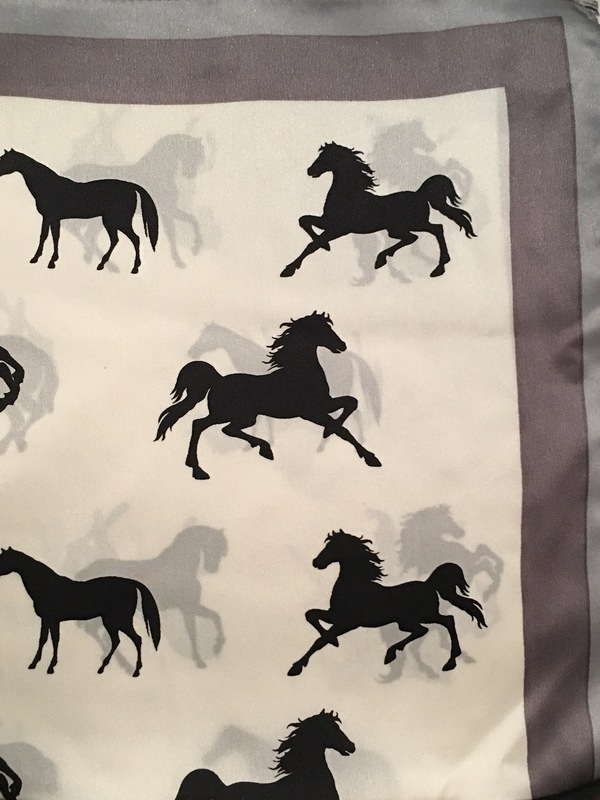 This Horse Scarf (100% silk) attracts recognition luck in the workplace and in your life. You can wear it to your business meetings, functions and social gatherings to increase your success luck. Tie it around your neck or on your bag to activate its luck.